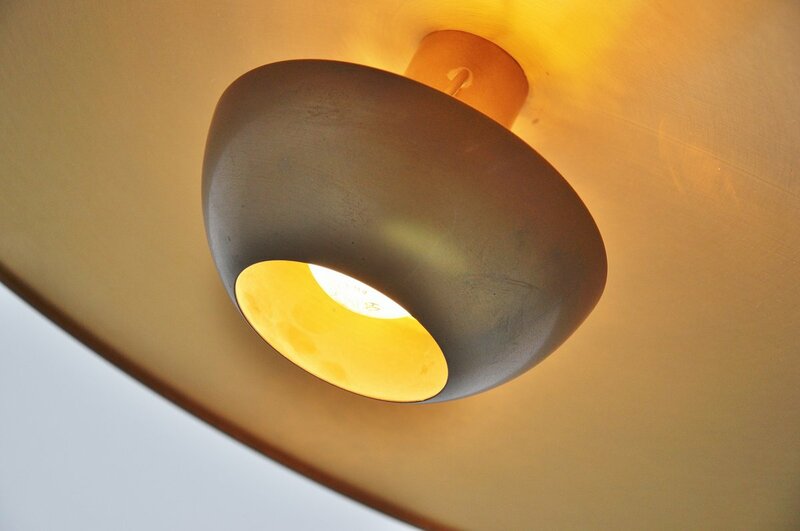 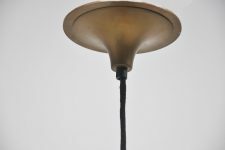 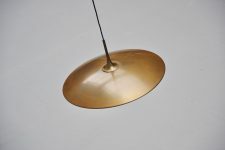 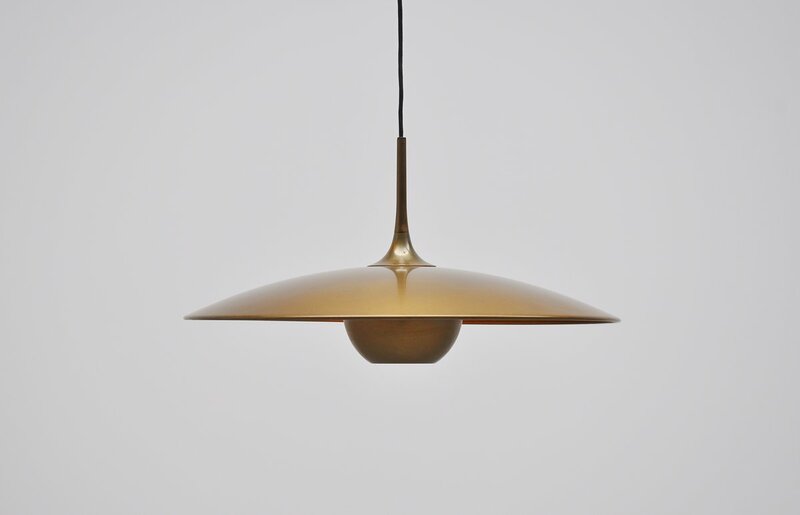 Very nice old and patined brass pendant lamp by Florian Schulz, model Onos 40 made in Germany 1970. 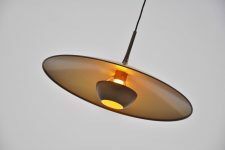 This subtle pendant lamp is made of very heavy quality and looks great when lit. 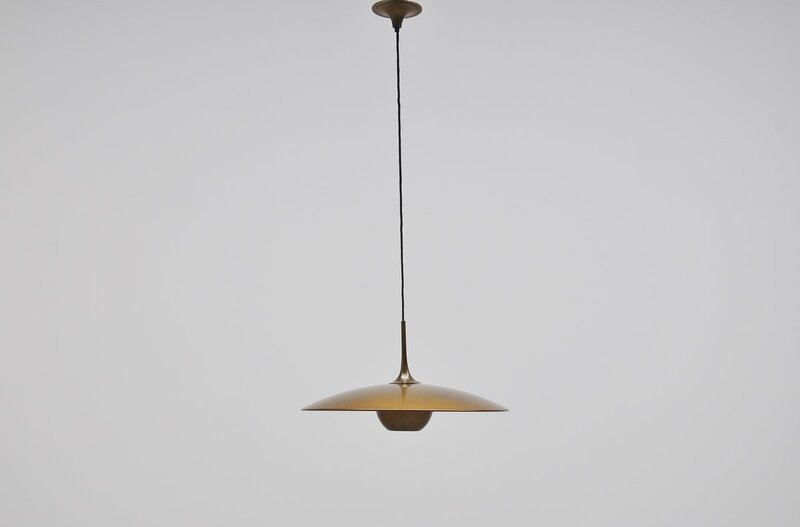 Gives very nice diffused light and has a very nice patina from age. There are no damages to this lamp.